MONDAY, March 12, 2018 (HealthDay News) -- A hip replacement may help seniors live longer -- for at least a decade anyway, a new study from Sweden suggests. "Our study suggests that hip replacement can add years to life as well as adding 'life to years' -- increasing the chances of longer survival as well as improving the quality of life," said study author Dr. Peter Cnudde. He's an orthopedic surgeon with the Swedish Hip Arthroplasty Register in Gothenburg. Cnudde's team analyzed data on nearly 132,000 residents of Sweden, 68 years old on average, who'd had a total hip replacement between 1999 and 2012. The patients' progress was assessed for about six years after their operation. In that time, about 16 percent of the study participants died. However, those who'd had the surgery had a longer life expectancy for the decade after their procedure than did people of similar age who had not had a hip replacement. Survival was 1 percent higher among hip replacement patients in the first year after their procedure, 3 percent higher after five years and 2 percent higher after 10 years, the study found. After 12 years, the two groups had similar survival rates. The survival benefit was most significant among people with age-related hip wear and tear -- called primary osteoarthritis. 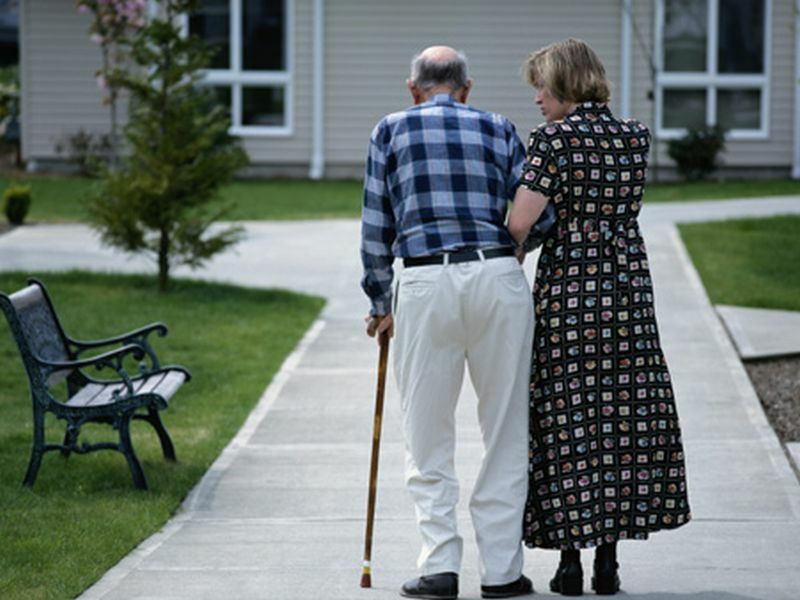 They accounted for 91 percent of those who'd had hip replacements. People with a higher number of other health conditions had lower survival odds after hip replacement, as did those who were single and had lower levels of education. The study was published online recently in the journal Clinical Orthopaedics and Related Research. Only an association, rather than a cause-and-effect link, was seen in the study. And the reasons why people who've had hip replacement surgery seem to live longer remain unclear, according to the researchers, but likely involve many factors. "No surgeon would recommend [total hip replacement] to patients just to live longer," Cnudde said in a journal news release. "But it is likely that the chances of surviving longer are associated with undergoing the successful operation, for patients in need of a hip replacement."